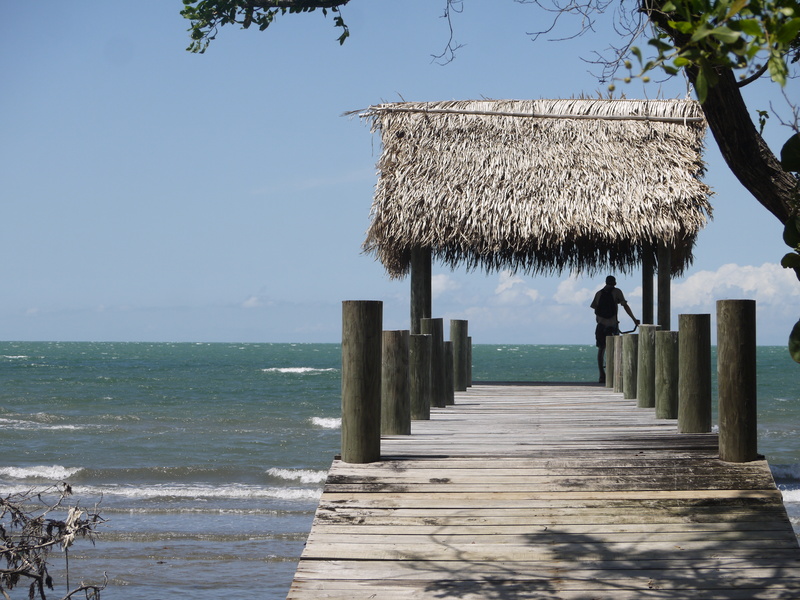 Nestled in southern Belize, Hopkins is a small community of 1,500, but with a burgeoning tourism industry. 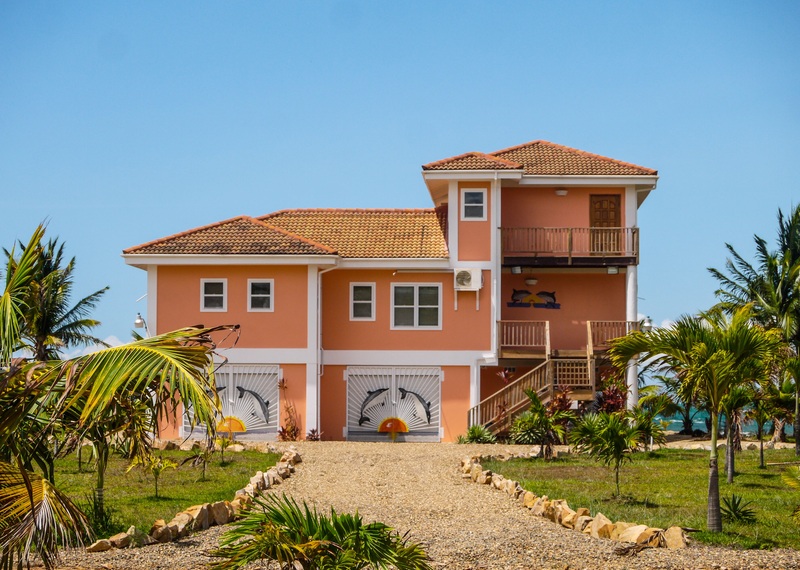 My husband and I arrived in the village in the afternoon, as one of the first thunderstorms of the rainy season blew through, and found ourselves within a quiet community bordering the beautiful Caribbean Sea. 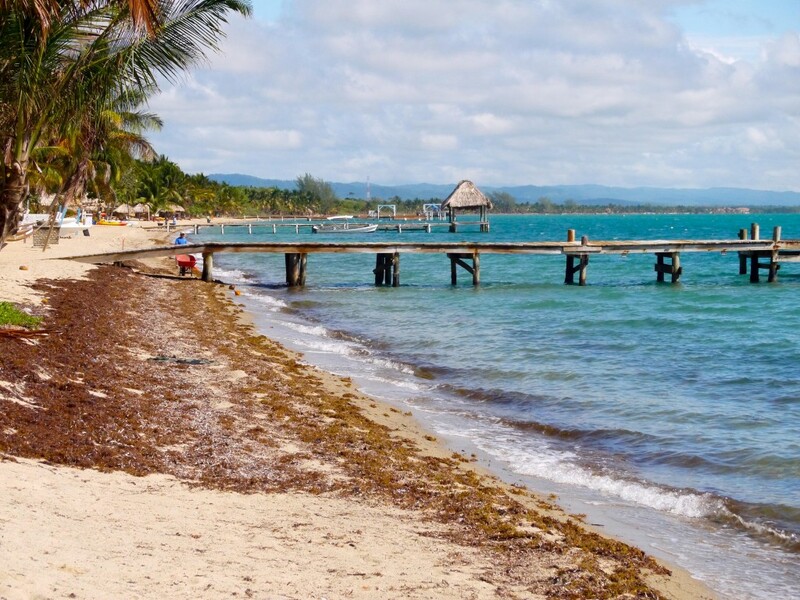 Hopkins was settled in the mid-20th century when a previous Garifuna village was destroyed in a hurricane, and many of the ancestors of those currently in Hopkins were once freed slaves. They have been voted the friendliest community in Belize, and I believe it: everywhere we went people said hello, asked how we were doing, and when we were trapped in a restaurant during a downpour (we had walked over a mile from our hotel) a local diving guide gave us a ride back. Yet Hopkins is in a delicate balancing act, again which we witnessed first hand. People come for the beautiful, warm ocean waters, but they also come for a myriad of inland and offshore adventures. We fished for permit and bone fish off the mangrove islands, dove along coral reefs with thousands of multicolored fish, and kayaked through a lagoon on the Sittee River; other tourists went scuba diving or on tours to Mayan ruins and extensive caves – all led by local guides, many of whom were born and raised in Hopkins. People stay in a mix of resorts, hotels, and guest houses, sampling the local restaurants – though many of these are owned by Americans or Canadians. It was a very slow season when we visited, and Brian and I had the privilege of talking to local Hopkin-ites. Tourism to their small village has expanded rapidly, from one resort to many, with more in construction and dozens and dozens of condos and summer homes on the way. 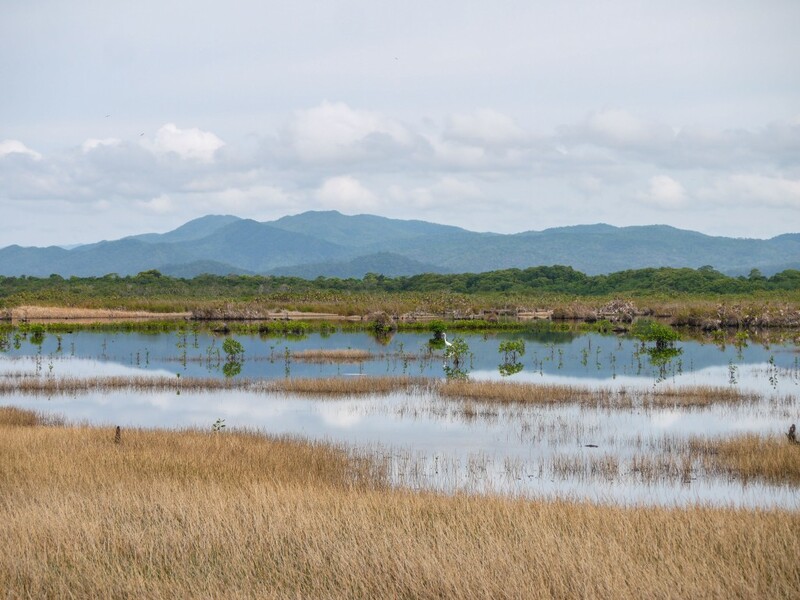 Lots were already subdivided and sold, with mangroves fast disappearing to make way for manicured lawns and beaches (staff rake the beaches daily to remove the seaweed and give the beaches the beautiful sand look that travelers crave). On the one hand, a few guides told us, the locals appreciated the economic influx caused by the development of the resorts and tours. They love sharing the natural beauty that surrounds Hopkins, which we definitely appreciated! On the other hand, there is also a growing concern that the development could spiral out of control, pushing the Hopkins people out, forcing a loss of their cultural identity, or damaging the environment they love so much. There are those in Hopkins who do not want to stay, and the money developers pay for property that can be used to move. Some are confident development can be managed; all agree that it is inevitable. To protect this identity, Hopkins residents are making an effort to teach the younger generations their traditions. Brian and I visited Loggerhead, a local burger restaurant, on a Saturday night to watch four young men play the drums. Rayton, Nahyme, and Kyle were all fifteen or sixteen, while their mentor, Warren, was in his mid-twenties, and also taught music to other children and teens in the village. To say they were good would be an understatement, they were great. To me their harmonies and singing matched perfectly with their drumming, and it was impossible to keep heads from bobbing or feet from tapping. They all want to continue studying music, and I sincerely hope that they do! In the end, it is their generation who will ultimately seek to shepherd the tourist development and manage the delicate balance between economic benefits, and environmental and cultural protection. They are all still in school, studying social studies, agriculture, and music of course. 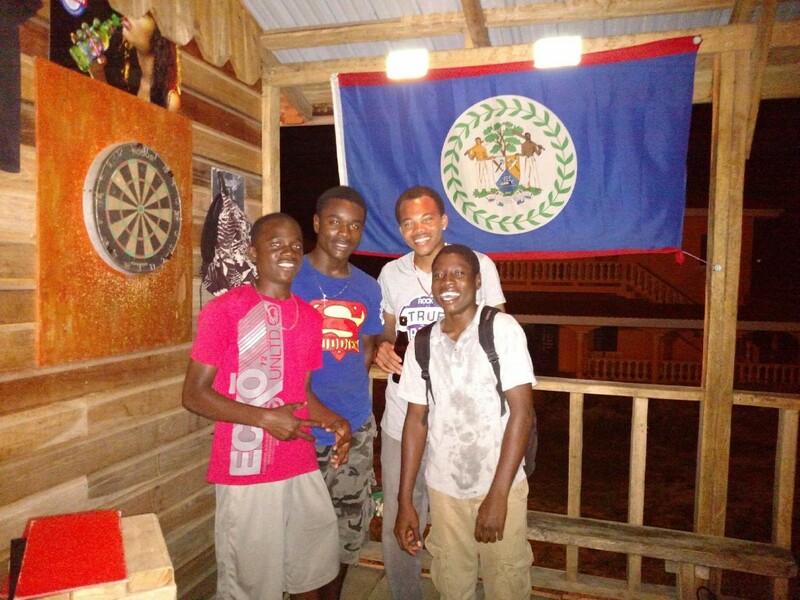 Where an American student is lucky to learn an additional language in addition to English, they already speak four: Garifuna, Creole, English, and Spanish. The people we met are intelligent, friendly, and passionate about their home. We sincerely enjoyed our time in Hopkins, and as we left we silently hoped that if we returned, the natural and social landscape would remain intact, as they are both unique and beautiful.